There's a good feeling that's spreading in busy offices everywhere. 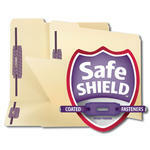 It's because of the unique patented SafeSHIELD® coated fasteners only from Smead. 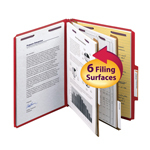 You'll know the instant you touch it that using fastener folders and classification folders will never be the same. 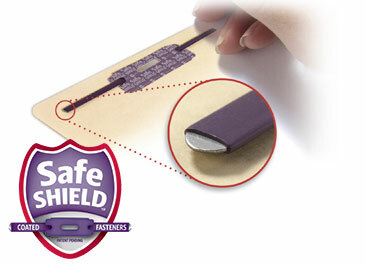 Smead's patented SafeSHIELD® Coated Fastener Technology is the ultimate solution to fastener issues, including pesky paper tears, nasty finger cuts, and excessive fastener crinkling. 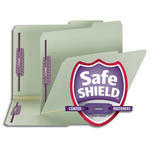 Bonding on the inner surface prevents desktop scratches and clothing snags. The choice is simple. Expect more from your fasteners. 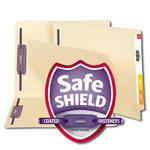 Patented SafeSHIELD® is available on many of your favorite Smead products.